The Millennial Wives Club had the opportunity to sit down and talk to Millennial Wife Adara Sherron, a Christian speaker, author, and empowerment specialist to women and men in all ages and stages of life. We wanted to highlight Adara because she diligently shares her testimony of deliverance as God’s message of love and hope to this world. We talked transitioning from Miss to Mrs, Christian Therapy, balancing different roles, and so much more. ADARA: Let’s see…an overview: I am a preacher, author, and encourager. I also would classify myself as a former prodigal daughter who ran away from God, until she ‘really; had an encounter with God, and now walks boldly in her God given purpose. MWC: Summarize yourself in three words. Why did you choose those three? ADARA: To summarize myself in three words would be: “written in pencil”. I chose these three because everything about me is constantly changing, evolving, growing, and even being refined. I would have to say that my life is subject to God’s plan and so my plans for my life are written in pencil because they are not permanent. MWC: Congratulations to you and your husband on your nuptials!! How did you all meet? Was it love at first sight? ADARA: We met at a Christian event where we both were scheduled to be speakers. It definitely was NOT love at first sight (chuckles). He was attractive and made great conversation but my mind wasn’t on dating because at the time I had a lot going on. After four months of giving him no play, finally we went on a date and the rest is history. 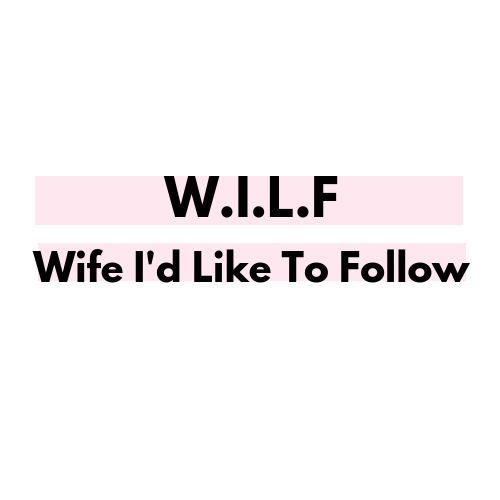 MWC: As you transitioned from Ms. to Mrs., what were some of the changes you had to make going from a single independent woman to a wife living with your husband? Was it overwhelming? How did you manage it all? ADARA: Great question. I think the shell-shocker and biggest adjustment was adapting to living with a man. Before marriage I never had a roommate, never had a live in boyfriend so this was very new to me. I was used to things being the way I made them and now someone else came into the picture who does things differently. It wasn’t a hard adjustment, but I quickly learned that men and women approach EVERYTHING very differently. MWC: What advice do you have for Millennial Single women who are patiently waiting to be found by Mr. Right? ADARA: My advice would be not to waste your twenties and thirties stressing over the “when” (in terms of the timing you’ll get married). I wish that I had traveled more while I was single and saw more of the world. I wish I had done more for myself instead of thinking I needed a partner or relationship to have fun and experience life. The other piece to that is once married you don’t have the same luxury to just “get up and go”. Now you have a household to run, a church to run if you’re in ministry like we are, and it’s a different set of responsibilities when you throw a hubby into the mix. MWC: As someone who is an advocate for Christian Therapy, how important is it for women to take advantage of therapy? What are some key things to look for when seeking out a therapist or even considering therapy? ADARA: I strongly advocate therapy. No issue is too big or to small to deal with in counseling. I believe it is very important because often times we walk around with issues suppressed and they later manifest. Counseling helps people deal with issues and tragedies and often prevents more issues or more tragedies. No one is exempt from tragedy or trauma but counseling definitely helps deal with those tragedies and traumas. MWC: How have you been able to execute self care while balancing so many different roles in your life? ADARA: I tell people all the time I take one day out of the week as often as I can to regroup—no social media, maybe a book to stimulate my mind but nothing that requires significant effort or could cause stress. It helps tremendously especially with the stress of graduate school and a full time job. MWC: What is your favorite inspirational quote? ADARA: I am most proud of my decision to go back to school and get my Master’s degree in Pastoral Counseling. It is tough but I am doing it. MWC: You are a Wife, a Speaker, an Author, a Student, etc… The list goes on! What can we look forward to seeing from Mrs. Adara Sherron now and in the future? ADARA: In the future I will be releasing some more books, finishing up my degree and who knows maybe welcoming a Baby boy or Baby Girl Sherron into the world (smiles).